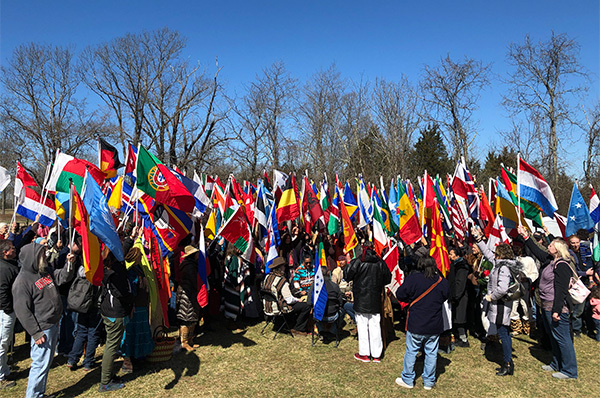 Flags representing the 193 nations on earth along with the International Indigenous Unity Flag were presented at the Serpent Mound Peace Summit as prayers for peace to prevail in each nation rang out in all the four directions. The 3-day Summit was attended by friends and family from near and far to amplify the energies of the Spring Equinox and the Full Moon. Serpent Mound is the largest serpent effigy in the world constructed by prehistoric indigenous cultures around 300 BCE. The site is located on a massive crater formed by the impact of an asteroid around 300 million years ago. It is a highly energetically charged portal on earth. The World Peace Flag Ceremony. 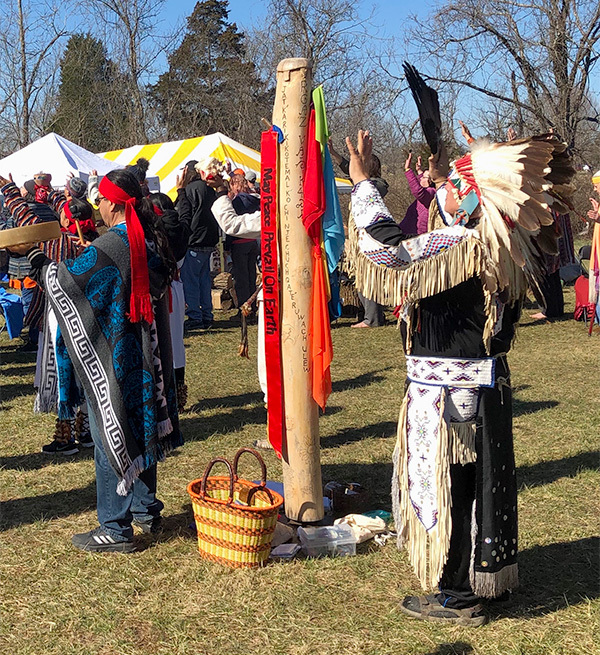 Chief Golden Light Eagle, teacher of The Star Ways and one of the ‘original code carriers’ of Turtle Island led the sacred drum circle to amplify the Summit in the spirit of All Nations – All Races – All My Relations. The Summit featured speakers and workshops sharing the star knowledge way and the wisdom of the grandmothers including Jennifer Black Elk – Lakota daughter of Wallace Black Elk from South Dakota. Honoring of the four directions. 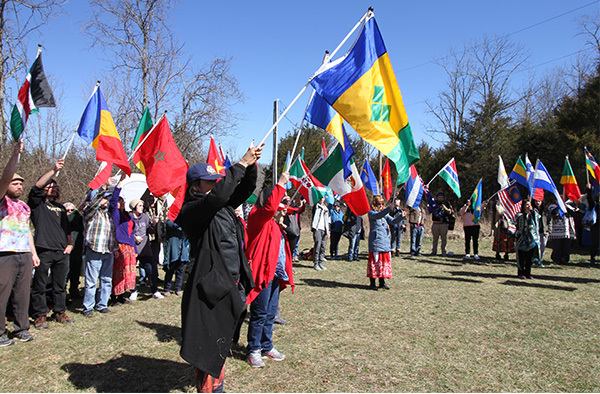 The World Peace Flag Ceremony opened the March 23rd program by inviting participants to carry the flags of all nations to represent one global family united in our mutual call for peace to prevail on earth and in the kingdom of plants, animals and all of creation. Sacred drum circle surrounded by the Ceremonial Flag Circle. 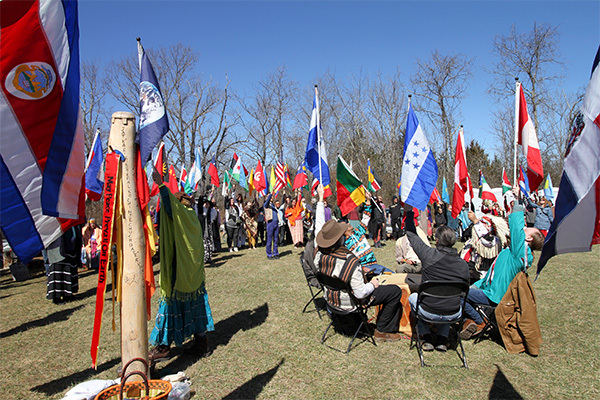 A sacred drum circle led by Chief Golden Light Eagle enhanced the prayers for global peace as the flags of every nation circled around the ceremonial circle including a Peace Pole bearing the languages of the indigenous peoples. The drumming carried our prayers far and wide to the four directions. 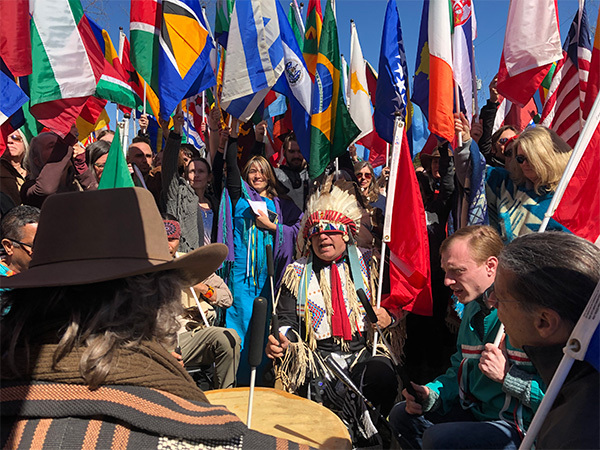 In a high spirited grand finale, our call for peace rang out to the four directions along with the rhythm of the drumming and the beating of our hearts as one global family.